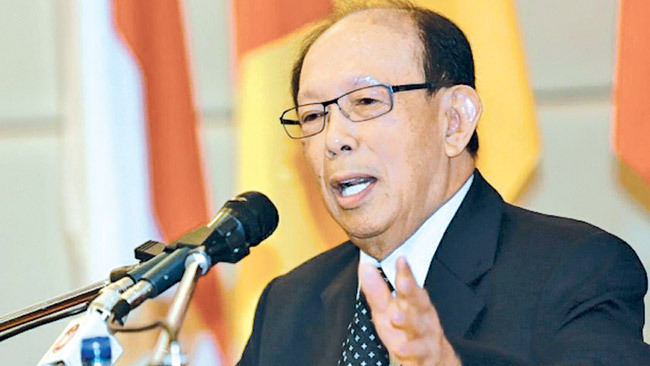 The 12th World Islamic Economic Forum (WIEF) will be an ideal opportunity for Sri Lankan micro sector entrepreneurs to gain exposure to the world WIEF Foundation Chairman Musa Hitam said. The forum will be held at Jakarta Convention Centre from August 2 to 4. Hitam said it will also give them a chance to speak and interact with some of the world’s leading companies and share their experiences. Some 2,500 delegates and 60 role players from over 100 countries across the globe are expected to attend the 12th WIEF. He said that Sri Lankan companies could get together and have an area to display their products and the Forum also offers this opportunity. “We will also waive off the participation fee from the micro sector entrepreneurs as an encouraging gesture. He said the 12th World Islamic Economic Forum will also be an good opportunity for Sri Lankan Tourism, Tea Board, Gem Authority to showcase their products as the ‘world’ would be there. He also explained that the creative industries, Islamic travel and Halal food markets are other areas that are set to benefit from the fast-growing Islamic economy which is not limited to the Muslim world, but can be better grasped in partnership with the wider international community. It provides an ideal avenue for world leaders, captains of industries, academicians, key opinion leaders and business experts to exchange views and experiences as well as generating fresh insights. The earlier forums were held in Kuala Lumpur, Islamabad, Kuwait, Astana, Johor Bahru, London and Dubai. Key issues that will be discussed at the 12th WIEF include sukuk for infrastructure financing, integration of Halal sectors and Islamic Finance, expansion of the global Halal food industry, development of the global modest fashion industry, improving funding access for MSMEs, integrating MSMEs into the digitised trade and more. The forum is organised by the WIEF Foundation and hosted by the Finance Ministry in collaboration with the State Secretariat and Foreign Affairs Ministry and the Indonesian Government.